Seriously, Sirius in relation to Dog Days. When I wrote for Yahoo! Movies through Yahoo! Contributor Network earlier this decade, I once took on the complicated subject of Dog Days at the movies and ended up going in an unexpected direction. 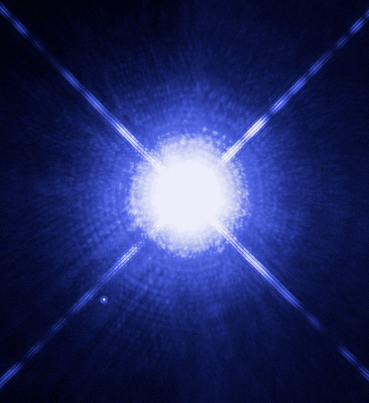 I equated the rise of the star Sirius as a subtle sign of hope that two different Dog Days could coalesce. 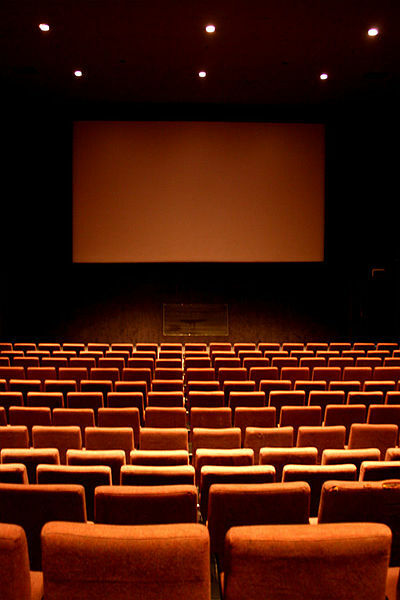 To wit, I asked people to visit their local movie theaters in August and prove the Dog Days concept wrong. It was perhaps the only time anyone saw astronomy and movies consolidate into a forced attempt toward a celestial sign helping the cinematic arts. At the time the piece was written, it was a delusion to think the era of Dog Days for movies could ever end. Perceptions persisted for decades by that point about how late July-early August was the official “dump months” (as it’s called in movie parlance) as an allegorical cornfield for all bad movies. A couple of years after I wrote that piece, new analysis started popping up in the media asking whether the movie industry’s Dog Days were really a misunderstood concept all along. It was equivalent to finally comprehending an elusive scientific conundrum, despite the answer staring us in the face for decades. The movies have frequently blinded us to accepting certain things, only because they’ve been such a persuasive element of pop culture. Our perceptions transformed quickly on the concept of Dog Days once big-budgeted movies started being relegated to the winter season. Moviegoers saw evidence of this already in the 1970s and ‘80s when the patterns of wooing Oscar meant cramming everything into a fall or winter window. By the 1980s, we saw evidence of how the summer movie season opened the underworld gates to the studio leftovers in August. Even with a few exceptions, we’ve seen a good 35-40 years of movies that continually bomb in August, which placed us on automatic pilot about what later summer expectations were. Then something happened last year that changed these perceptions. “Guardians of the Galaxy” managed to become a major success at the box office in the first week of August. While this might not seem surprising for a superhero movie with true star power, it obliterated the idea that no one goes to the movies in August with assumptions there isn’t anything worth seeing. It’s puzzling why it began this way in the first place when August is the final gasp of summer and people need new entertainment to fix their late summer blues. Kids are about ready to head back to school and sometimes deal with inexorable vacation boredom. Adults probably need a vacation from their vacation before perhaps heading back to work in September. So does that mean August’s Dog Days at the movies are probably over? The true litmus test comes in what happens this year and the next few Augusts. We have to question whether screenwriters took the perception that some of their movies will inevitably end up in the scrap heap of late summer and continue to write them in cookie cutter ways. All of this may be the result of why screenwriting has been so mediocre lately in the mainstream. I base this on the prospect of screenwriters knowing their screenplays will still be sold and released in a time frame away from the Oscars as basic filler. With that in mind, the prospect for more success in August could alter the mind state of writers and everyone in the industry toward more inspiration. One thing I’ve learned as a working writer is that you need unexpected stimuli to sometimes inspire you toward fresher ideas. Because mainstream moviemaking is caught in a dangerous rut right now, it’s worth worrying about a new generation of screenwriters feeling trapped in a sea of creative mediocrity. The above only gets wrapped into one’s soul and alters perceptions of the world to cynical moods. It only hurts how writing in movie progresses, and right now it has far too much devolving. We’ll have to wait and see how this August shapes up as a rerun from last year. Now that “The Fantastic Four” is opening the first week of August, clearly Hollywood wants another “Guardian of the Galaxy” situation. If the former is a success, Dog Days may officially be another frame of mind we’ve managed to alter. This could inspire screenwriters to write something that shoots toward something meaningful in late summer. It may also domino the perception that all the great movies have to be crammed into December where they all too commonly cancel one another out. Perhaps we’re looking at more breathing room for great movies throughout the year to avoid taking rain checks on visiting a movie theater until the holiday season. Will James Corden become the most sincere late-night TV host? It seems every time anticipation builds for a new late-night host, the stakes become higher for the host to perform up to expectations in the first week. With that, the late-night host has been shaped recently as someone personable, yet also sardonic, sarcastic, and capable of being ironic. 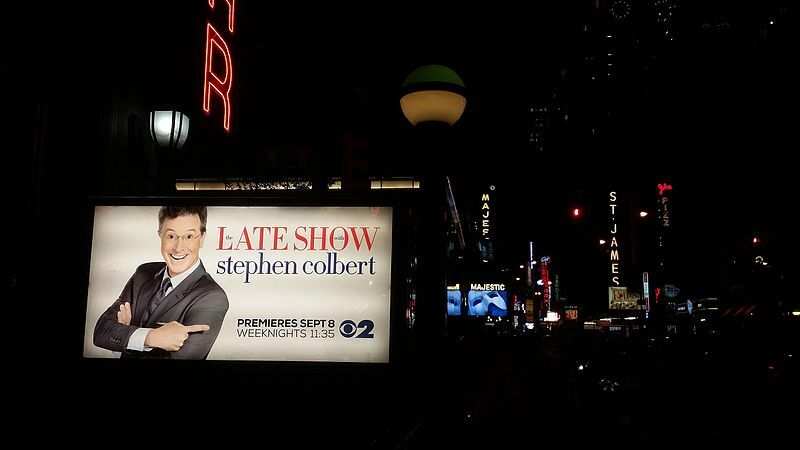 If you can blame David Letterman for setting this path 33 years ago, or if it was formed further with the The Daily Show and The Colbert Report formula, sincerity isn’t always in the DNA of a modern late-night host. When you look at the entire timeline of late-night hosts, you can see how sincerity was once a major part of capturing viewers. Late-night icons like Steve Allen, Jack Paar, and Johnny Carson were always sincere, though also had a hint of ego to keep a comedic balance. Carson evolved from a sincere young host to one arguably a little more egotistical and sarcastic by the time the 1980s and ‘90s rolled around. By then, sarcasm was more popular in comedy where new late-night hosts had to adapt. You could say Arsenio Hall was the most sincere late-night host on the block back in the late 1980s and early ‘90s. 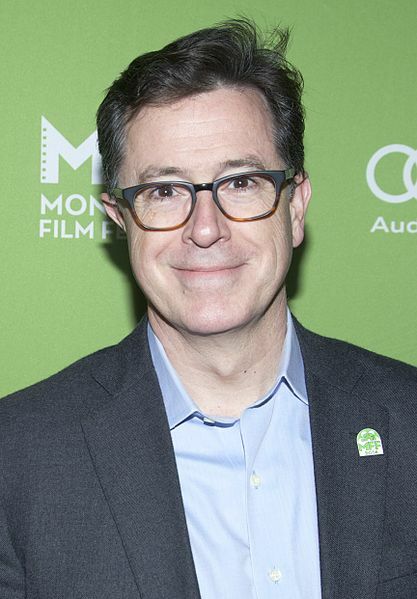 Even though he brought in the younger demographics craving a young and hip late-night host, the return of his sincerity to late-night syndication a couple of years ago didn’t go over well. While you could blame the lack of marketing and promotion on the cancellation, it could be Hall simply didn’t have enough edge people expect in a late-night host for the 21st century. Now, when you add up Letterman (as sarcastic as ever in his last year on the air), Jimmy Kimmel, Conan O’ Brien, and Seth Meyers, you have a collectively snarky late-night bunch that contrasts interestingly with Jimmy Fallon. Yes, the latter host is a little more sincere, even if he also has a darker edge that wavers between sincerity and bitter cynicism, which is an appealing combination. But what happens when you get a comedy host who’s always sincere, even through his comedy routines? In the world of The Late Late Show, the comedy style of Craig Ferguson was even zanier and more absurd than even Letterman managed. Letterman went very serious during the 9/11 terrorist attack and changed the entire foundation of his cynicism. If he went back to cynical comedy not long after, you can’t say Letterman has ever been quite as cynical as he was back in the 1980s and ‘90s. Fortunate or not, Ferguson never had to go up against a serious, world-changing event. His comedy thrived living in its own surreal world, mixed with profane Scottish wit. This combination of freewheeling comedy with a Scot accent was a winning combination for a decade, yet definitely never sincere. Any moments of Ferguson being sincere was for only brief moments or when the cameras were off. The rest of the time, the late-night format and all guests were simply one entire joke. With James Corden now taking Ferguson’s chair, we see some British wit once again on American TV, though this time with what appears to be the most sincere late-night host we’ve ever seen. Corden already seemed to set this persona in his promo commercials for The Late Late Show over the last several months. Then he proved it on March 23 where he debuted his gentler approach to comedy, view of the world, and honest rapport with guests (two at once) on the roster. Whether Corden really is this way, or it’s a persona he’s set for his TV personality, it’s something seemingly very genuine. And as time goes on in a world of cynicism in entertainment, a lot of people may appreciate this approach, despite missing the loud guffaws with Craig Ferguson. The question is whether the public will accept less cynical comedy from Corden, or if they’ll find it too soft. Looking at it from a wider view, it’s also a tug-of-war in all of comedy where a darker view of the world brings bigger laughs than a more genuine view. Then again, having a genuine personality in a cynical world could be much funnier when you put it in perspective. Think of it as the Forrest Gump effect where Forrest’s genuineness and naïve qualities about the world helped bring an endearing comedy and sweetness helping the jaded view the world differently. 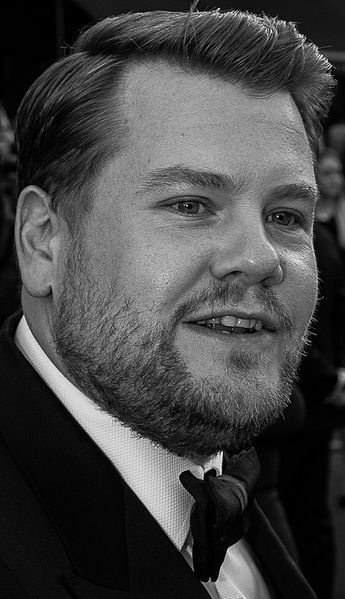 James Corden may just look at the world differently, and that’s very refreshing in the cutthroat world of show business. Let’s hope he doesn’t become jaded in the process while likely fighting detractors along with his likely many supporters. So far, the biggest names in showbiz are showing support, which is the best foot forward. With a few tweaks of his show format, Corden may nurture a new path in late-night TV where genuine behavior brings a new type of funny that’s almost a throwback to a time on TV when cynicism had no place on a single network. Did ‘Birdman’ Bring a Catharsis to Hollywood Rather Than Provoke Celebrity Culture? Did “Birdman” manage to save Hollywood in more ways than one? A couple of notable films have gone after Hollywood with a vengeance early this year. One managed to win over Oscar, and the other is likely to be forgotten by the Oscars next year because of a release this coming March. But there isn’t any denying the connective strings between Birdman and Maps to the Stars in their stinging condemnation of show business and celebrity culture. Arguably, the latter film has more of a beef against how Hollywood works than the former. And if Hollywood has a possible beef in return with Maps to the Stars, what are they possibly thinking about Birdman? The above latter film has had a surprising path since it released in theaters this last fall. While working as a writer at The Movie Network over the last six months, I did a review of Birdman and pondered how the Oscar voting academy would take to a film that clearly pointed to show business as destroyer of families, credibility, ethics, and career. While that’s only a possible outcome for anyone, there was a lot of familiarity there. We even had to use the overused term “meta” because Michael Keaton’s own trajectory mirrored that of his character, Riggan Thomson. Thomson’s character doesn’t have the same outcome as Keaton, which gives an even more powerful metaphorical parallel to actors in the Hollywood system. The greatest thing about Birdman is that Thomson eventually becomes aware of how much he’s been destroyed by his career and the trap he’s found himself in trying a comeback on Broadway. Regardless, with so much of Hollywood going to Broadway lately, I still posed the question of whether the film would offend celebrity culture voting in the academy. It turns out that assumption was wrong on every level. Birdman has won every major award on the award circuit up to this writing. With this blog written a day before the Oscars, it’s likely the film will either get Best Picture or at least Best Director as a split with Boyhood. So did the magic of the filmmaking behind Birdman usurp its message? Perhaps Hollywood wasn’t offended at showing celebrity culture as an inexorable trap nobody can escape. Maybe Hollywood found it refreshing that a film finally took on the issue in a bold way without flinching. It possibly even created spirited discussions in the voting community that would have made a great documentary on its own. The reality is that celebrity culture has to be aware of the pitfalls their industry has had for decades. Birdman makes it even more painfully aware without necessarily offering any answers to fix it. The film’s ending alone is one that many people are still debating and whether it’s redemption or just giving up. Any notable person watching the film must have had any complacent thoughts about their own career shaken to the core while accepting either interpretation of the ending. There isn’t a doubt movies are waking us up to increasingly more complex issues in culture and in our lives so we can work toward improvement. Many of those movies aren’t offering direct answers and instead let us know about hidden issues so we can find the long road to finding solutions, possibly years from now. Maps to the Stars (from director David Cronenberg) is a film that also takes this same tack, though much more blisteringly than Birdman. Cronenberg shows us a ruined actress (this time played by Julianne Moore) with people in her orbit even more ruined by the ravages of show business and parental neglect. The pyromaniac character of Agatha Weiss (played by the still underrated Mia Wasikowska) is an interesting contrast to Emma Stone’s Sam Thomson, despite both being the emblems of what we see so much of in the entertainment industry. Both of these films had to have hit a nerve with Hollywood families who’ve had kids ending up almost exactly like Agatha and Sam, if even worse (or dead). An Oscar victory for Birdman may be the message that the academy voters get it and they’ll work toward preventing more Riggan and Sam Thomsons from happening again. To them, ribbing celebrity culture and smearing the concept for all of its egoism and hedonism wasn’t the point of the movie. They may have seen the film in a much different light from the public who had more mixed opinion. The irony here is that because of Birdman’s other innovations in direction, it’s going to be remembered far into the future than Maps to the Stars likely will. Both, however, may be just the beginning of films taking Hollywood to task for their perpetual craziness, whether seriously or through satire. It may have already been enough for the celebrity world to permanently change things for the better.